So what is dabbing exactly? According to the hip hop group Migos the “Dab” is simply a dance move they made up while on tour last year. 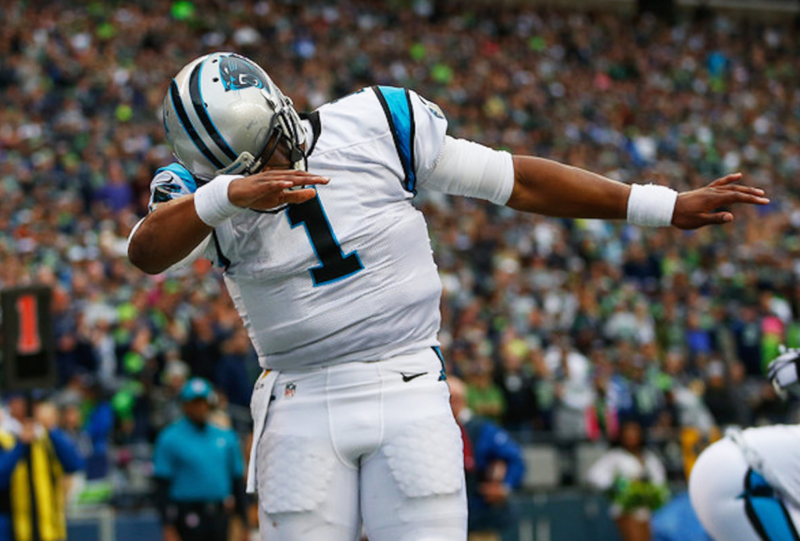 “Dabbing” did not hit the mainstream market until NFL superstar Cam Newton introduced to the game. You can pretty much find a “dabber” everywhere in sports these days. It’s happening at every NBA, NFL and College arena across the country. CNN anchors, Sport center Anchors, Mainstream anchors are all dabbing – it’s insane if you ask me. Even my cousin’s company that does roof repair Fayetteville NC has their employees do a dab or two after each successful roofing job. Everyone’s on the dabbing train, even celebrities, check out Cam Newton Dabbing below after a great play! There has been controversy surrounding this “Dab” Phenom like who came up with it and what it really means? The sports world has taken over the dabbing culture. You will almost see every major sports team celebrating a touchdown, score or highlight play with a dab. It’s to the point where all these news anchors on television are dabbing for no damn reason. The sports world has gotten a hold of it and it’s here to stay, Cam is not the only dabbing in the sports arena. Hip Hop artist Bow Wow some few choice for the Migos about the creation of the Dab. According to Bow wow the Dab originated from a few folks who smoked an illegal substance and couldn’t handle it. We will leave that conversation for another day. No matter what, the Dab has gone commercial and it got that quick recognition thanks to the sports world. The dab is for the most part a happy go lucky dance move, but with the happy times comes the anger and bitterness. There are some NFL teams and fans who have expressed disdain about Newton and his “excessive” celebrating. The Tennessee Titans are on of those football teams that did not appreciate all the “dabbing” following a score. Tennessee native and fan Rosemary Plorin posted a “letter to Cam Netwon” online about her views on his celebratory dance. (Credit: http://www.charlotteobserver.com/). Let me give some excerpts from the letter. I might have butchered that whole thing, check out the full letter at www.charlotteobserver.com . I really feel like this fan was upset over a loss and needed to vent so she picked on Cam. We understand your team took a loss just, live with it, and go away. Cam and other winning teams are enjoying there wins with a dab, it’s not they are killing anyone out there. If you are still wondering what the Dab is turn on your T.V. and you will get a better idea of what it is. This entry was posted in Dab Dance and tagged Cam, Dab, Dance by Los. Bookmark the permalink.